China has completed its first return mission to the moon with the successful re-entry and landing on Earth of an unmanned probe, state media reported. 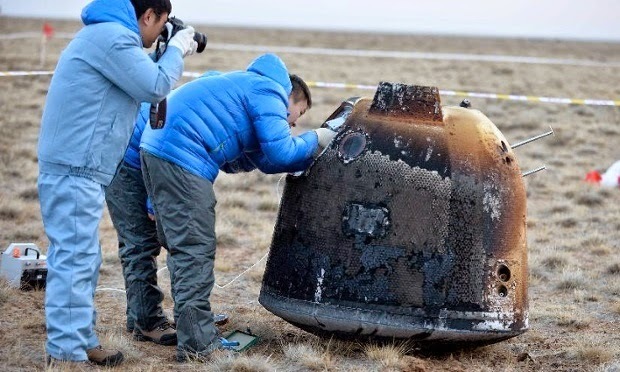 The probe, Chang’e 5-T1, landed safely in northern China’s Inner Mongolia region, state news agency Xinhua said, citing the Beijing Aerospace Control Centre. Xinhua said the probe, dubbed “Xiaofei” (little flyer) on social media, took “some incredible pictures” of the Earth and the moon. It is the first trip around the moon and back since US and Russian flights of the 1970s, 40 years ago. Prior to re-entering the Earth’s atmosphere the unnamed probe had been travelling at 11.2 kilometres per second (25,000 miles per hour), a speed that can generate temperatures of more than 1,500C (2,700F), the news agency reported. To slow it down scientists let the craft “bounce” off Earth’s atmosphere before re-entering again and landing. The probe’s mission was to travel to the moon, fly around it and head back to Earth, said the the state science and technology agency, Sastind. The module went 413,000km from Earth at its furthest point. 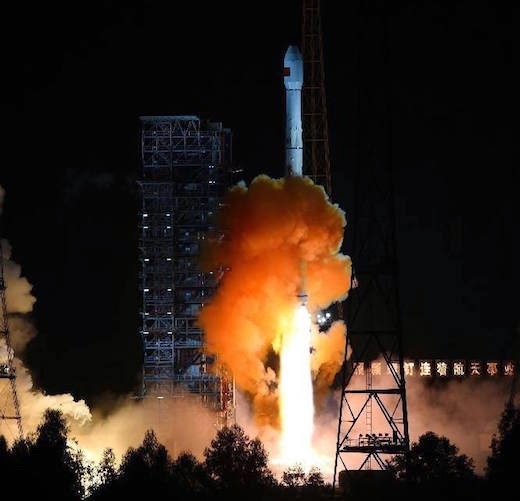 The mission was launched to test technology to be used in the Chang’e-5, China’s fourth lunar probe, which aims to gather and return samples from the surface in 2017. The military-run space project has plans for a permanent orbiting station by 2020 and eventually to send a human to the moon. 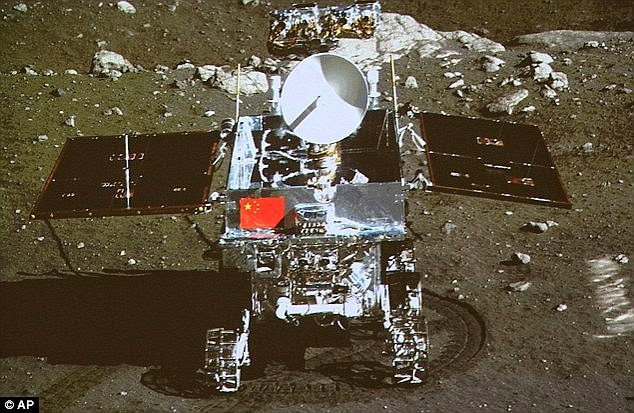 China currently has a robotic rover, Yutu (Jade Rabbit), on the moon. It landed on 14 December 2013 and completed parts of its mission before grinding to a halt on 25 January 2014 due to equipment failure. BEIJING, Nov. 1 (UPI) -- China has successfully completed it's first mission to the moon and back and plans to land on the moon by 2017. An unmanned spacecraft flew around the moon and then returned by landing in the grasslands of Mongolia, according to state news agency Xinhua. The unmanned craft traveled at roughly 25,000 miles per hour on its return trip before it entered Earth's atmosphere and reached temperatures of almost 3,000 degrees Fahrenheit. China is now the third country to go to the moon and back, after Russia and the United States. China's State Administration of Science, Technology and Industry for National Defense (SASTIND) claims their Chang'e-5 unmanned probe will land on the moon in 2017 to collect samples from the surface. China plans to eventually land a man on the moon, something that hasn't been done in about 42 years. The country plans to build its own space station by 2020. Launch of the Chang'E-5-T1 mission on top a CZ-3C rocket from Xichang base in China on 24 October. The Chinese lunar programme continues to progress in stages. After sending 2 spacecraft around the Moon, on 14 December 2013, the Chinese space agency, CNSA (China National Space Administration) landed its Chang'E-3 lander in the Mare Imbrium on our natural satellite. The spacecraft was carrying the Yutu rover that surveyed the lunar surface until it was immobilised due to a malfunction in January 2014. The next exploration mission planned in the programme is Chang'E-4 which must also complete an automatic landing, expected in 2015. Despite its name, ChangíE-5-T1 is still part of the chronology of the Chinese programme, this flight is in fact a partial technological test for the Chang'E-5 mission (without the T1) which in 2017 should take samples from the Moon's surface and bring them back to Earth. Chang'E-5-T1 aims to test the capsule that will bring the samples back to our planet. 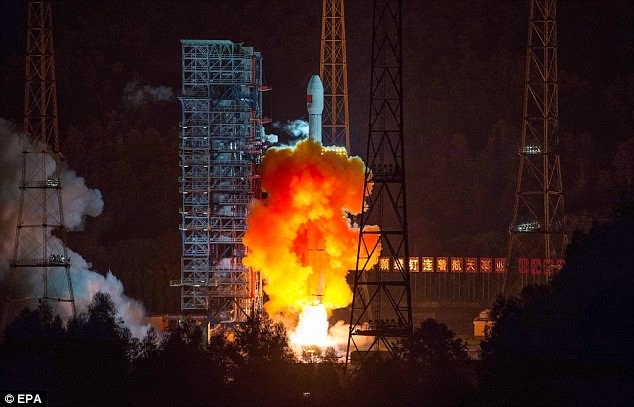 A CZ-3C rocket sent the spacecraft to the Moon, taking-off from the Xichang Space Centre in the early hours of 24 October (local time). Chang'E-5-T1 consists of a carrier spacecraft fitted with solar panels and derived from the DFH-3 platform shared by several Chinese satellites and which was also used for the Chang’E-1 and 2 missions. However, this time, there was also a return capsule. Chang’E-5-T1 will not land on the Moon or collect any samples. The spacecraft will go around our natural satellite by 27/28 October then, when it is close to Earth, it will release the capsule so that it re-enters our atmosphere and lands underneath parachutes on the ground. This landing should take place on 31 October or 1 November. 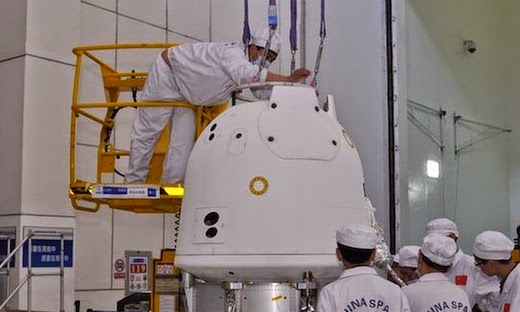 The return capsule that will be tested during the Chang'E-5-T1 mission. It is similar to the Shenzhou manned, three-seater spacecraft, but smaller. 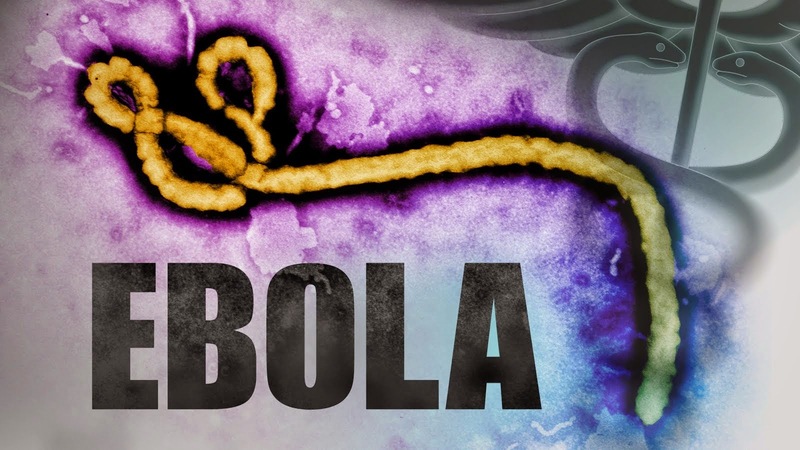 Thus the CNSA is testing the re-entry phase in real conditions, i.e. at a speed similar to that of a return from the Moon, which is faster than from Earth's orbit. The third stage of the rocket which launched Chang'E-5-T1 is carrying a small European experiment called 4M. Developed by the company Lux Space, this is a radio transmitter which will emit a signal for radio amateurs. 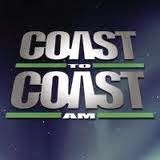 Given that the third stage is also heading to the Moon, this is an opportunity for the radio amateur community to follow a signal intended for them as the transmitter travels to our natural satellite. The name 4M stands for Manfred Memorial Moon Mission in honour of Manfred Fuchs, founder of the OHB company (satellite manufacturer) who died early this year. Mission control based in Beijing during the launch of Chang'E-5-T1. 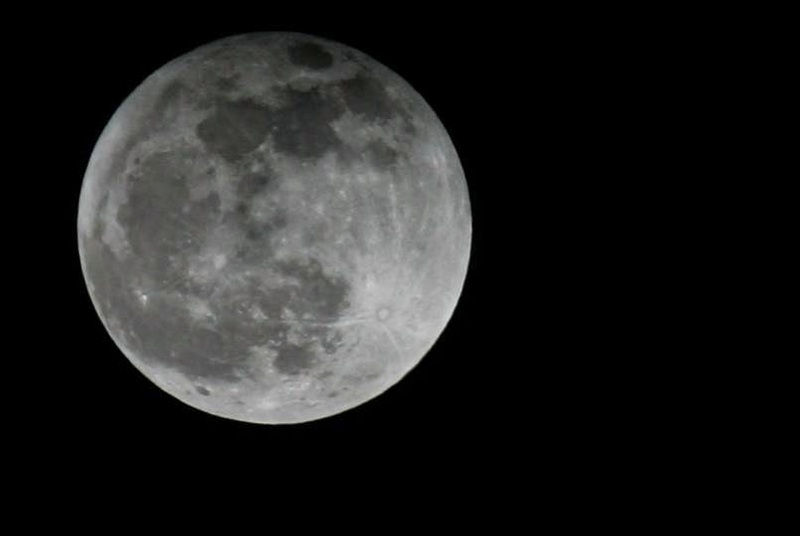 China has launched an experimental spacecraft to fly around the moon and back to Earth. The eight-day mission is seen as a test-run for the country's first unmanned return trip to the lunar surface, which will take place in 2017. 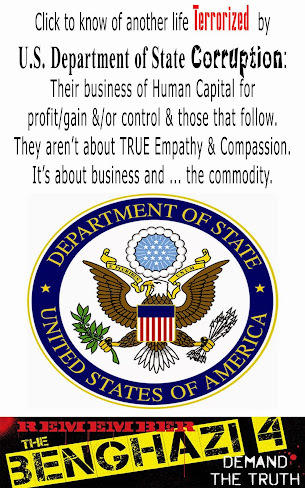 And if China successfully manages to bring samples back from the moon, they will be only the third nation to carry out such a mission after the US and Russia. The spacecraft lifted off from the southwestern Xichang satellite launch centre early this morning. 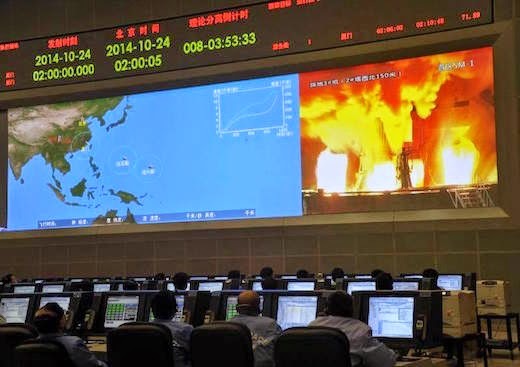 It separated from its carrier rocket and entered Earth orbit shortly after, the State Administration of Science, Technology and Industry for National Defense (Sastind) reported, according to the official Xinhua News Agency. 'The first stage of the first return journey test in China's moon probe programme has been successful,' Sastind said after the launch, from the Xichang space base in the southwestern province of Sichuan. The module will be 257,000 miles (413,000 km) from Earth at its furthest point on the eight-day mission. The official Xinhua news agency said it would re-enter the atmosphere at 11.2 kilometres per second (25,000 mph) before slowing down - a process that generates extremely high temperatures - and it will land in northern China's Inner Mongolia region. China's lunar exploration program, named Chang'e after a mythical goddess, has already launched a pair of orbiting lunar probes and last year landed a craft on the moon with a rover onboard. Xinhua said the latest mission is to 'obtain experimental data and validate re-entry technologies such as guidance, navigation and control, heat shield and trajectory design' for the future moonlander christened Chang'e 5. China's military-backed space program is a source of massive national pride, especially its series of successful manned missions that have placed up to three astronauts at a time in an experimental orbiting space station called Tiangong 1. It sent its first astronaut into space in 2003, becoming the third nation after Russia and the US to achieve manned space travel independently. 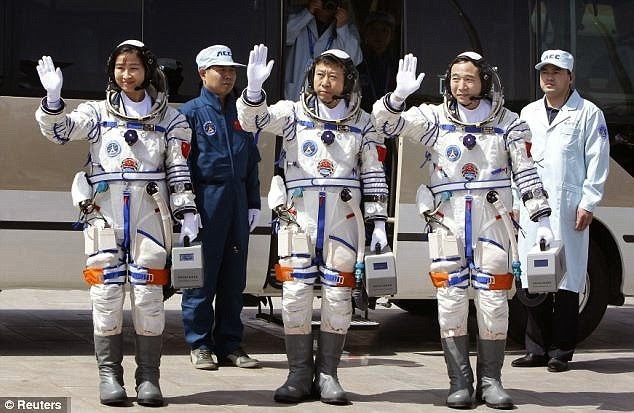 China has powered ahead in a series of methodically timed steps, independent of the American programme, which is now in its sixth decade of putting people into space and has long-term plans to go to an asteroid and Mars. Alongside the manned program, China is developing the Long March 5 heavy-lift rocket needed to launch a more permanent space station to be called Tiangong 2. Gaofen-1, China's first high-resolution satellite captured 10 incredible images: Must see!